Last Sunday, Armada Properties and The Collective collaborated to host a creative arts festival. It was to support of local businesses and the arts. Because what Brunei lacks in giant chain stores like H&M, Forever 21, or Target, we make up in local businesses. Local businesses are a dime a dozen here. Someone is a clothing retailer, someone is a baker, someone is an artist. The easiest way to commercialize is through social media. What Instagram is to Brunei, is what Etsy is to everywhere else. Online shops thrive on social media like Instagram and Facebook to sell their work. Because of that, many of these vendors don't have physical shops. In the endless ocean of local businesses, it might be difficult to gain attraction. 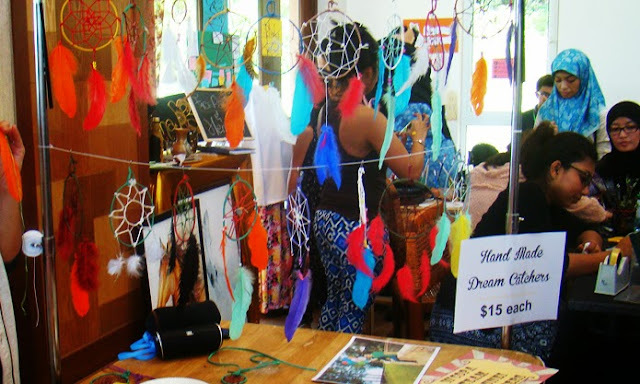 So the Collective Arts Festival stepped in to highlight all these great vendors. The first thing you see is the amazing artwork from UBD Arts Club. 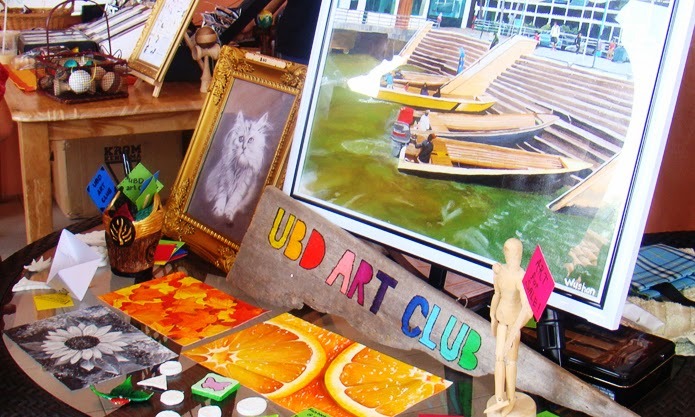 The University of Brunei Darussalam's Art Club showed off some great paintings. I absolutely adore the Kitty Cat one in the frame. You can find their Facebook page here, and Instagram here. The paintings of Aron Jon's Studio are incredible. 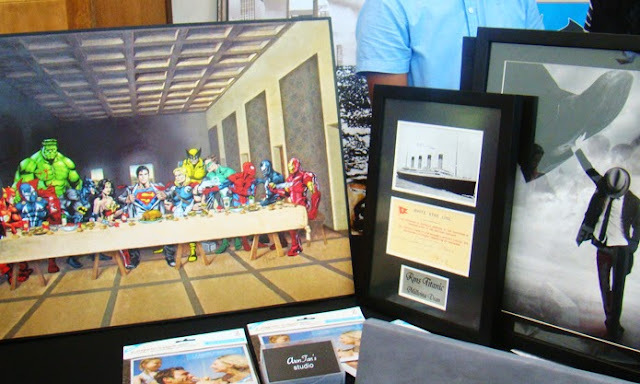 I loved his recreation of The Last Supper with Marvel and DC characters. I misheard him saying it was only $20, while it was actually $280. For a moment, I would've bought it almost immediately. Alas, it was not meant to be. Aren't these designs just gorgeous? My handwriting is terrible so I'm envious of her skill. Calligraphy is a special skill of the angels in my opinion. These were made by Christine from Little Red Designs. Her designs caught my eye just by being so simple yet so beautiful. I picked up the Be Kind post as a reminder to myself when life gets a little rougher. To be kind is a task we tend to forget. Right now, the card hangs in my bedroom beside my Scott Pilgrim poster and a photo of me at fourteen. You can find Christine's website, Little Red Designs here, and her Instagram here. I met my friend, Jim there who runs Raja Maverick. He creating beautiful handmade jewellery using precious stones and crystals. I wished I bought one of their crystal necklaces. They were gorgeous but I was broke. 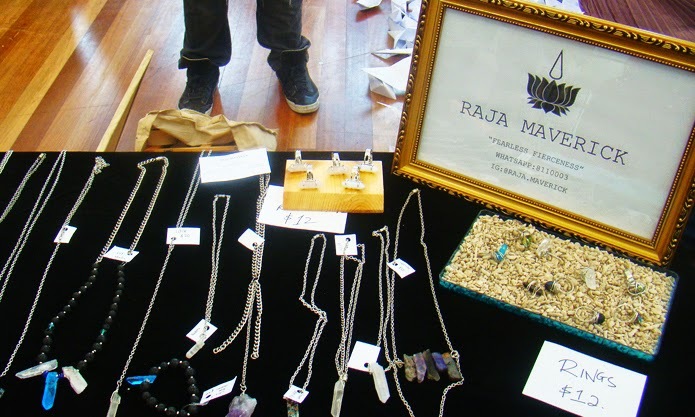 Raja Maverick makes raw and rustic pieces for 'the Ballsy Badass.' Their words, not mine. You can find Raja Maverick's Instagram here. 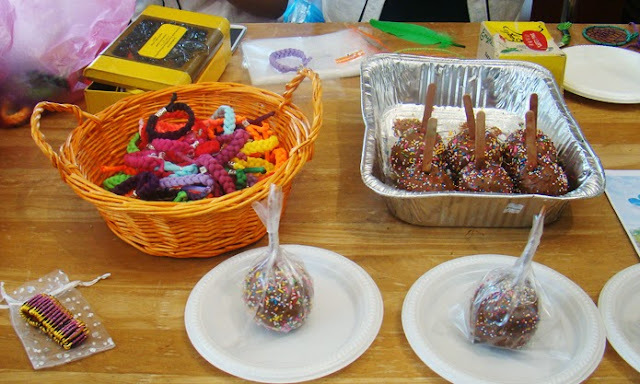 To fund their travels, Brunei's WCOPA Team were selling sweets and goodies, and dream catchers! Oh, I love dream catchers. I had one a pink dream catcher when I was seven, dangling in my pink bedroom to chase away the nightmares. WCOPA is a big step in Brunei's entertainment industry. It is the World Championship of Performing Arts held in Los Angeles, and twelve Bruneians have been chosen to go! Brunei is so small, I know a few of them. If you would like to support them, you can find their Instagram here. So that was my Sunday. They were 50 vendors, each showcasing different items from paintings to jewellery to cups of coffee. These were only some of little creative gems found in the Collective Arts Festival. I hope you will check out at least one of these incredible vendors. Big thanks for Armada Properties and The Collective for hosting. Don't forget to visit Armada Properties' website here and The Collective's website here. They host some great events and the best way to keep up is through their Instagram here. This is my first Event post! Do you like it? I'm not one to talk about happenings but the festival seemed to be the place to start. It's great to have local creatives recognised on such a big scale in Brunei. It's showing the change in medium of both businesses and creative arts. What an age we live in! So do you have any favourite local businesses in your area? A clothing store, book shop or maybe something crafty? I'd love to know! It's always good to support local bussines, it's what we all profit from, not the big chain stores. This would totally be my kind of event, so many amazing things at one place. I totally felt for that candy on a stick, and also sat my eyes on that framed pictures of Titanic, since I'm crazy for everything conected with WSL. I can tell you enjoyed it, cos I have just from looking at this pictures. Hope you have just as awsome week. I love local craft fairs like these, they're so much fun! It's always great to support local businesses. Lovely photos, thanks for sharing! 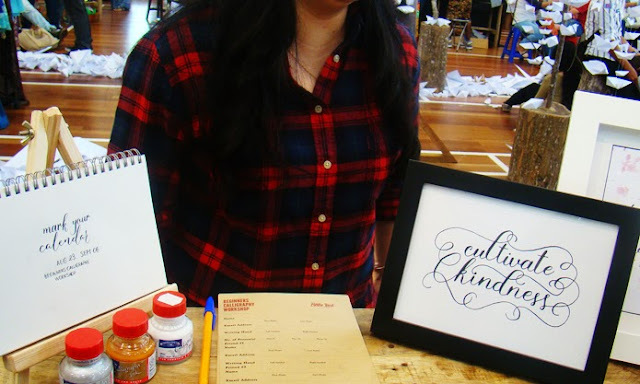 I absolutely love those calligraphy posters. They're so beautiful! I definitely enjoyed your first event post. And I definitely loved your photos and those posters showcased in the above photo as well. Great post. What a cool concept of all the vendors - having instagrams like etsy. I love those prints you posted...I'm a sucker for a pretty font. Thanks for sharing this unique experience! I love attending artsy events and seeing all of the creativity out there! Great photos! This is a great place for artistic people. Sounds like great festivals, I really like the designs of handwriting, they're so motivational and looks stunning! My local fave is an adorable sandwich shop that caters for the gluten free! Lovely post, looks absolutely great! I love supporting the local businesses and sounds like Brunei and Malaysia is similar as in many businesses use Instagram for promoting their goods. And you look beautiful in a head scarf, I love the first picture of you. These are rad! Love markets like these! This looks like it was amazing. This event looks amazing! So much talent. I like watching performances at Open Mic Nights at coffee houses, going to art museums and seeing indie films at a theatre around town. This festival looks really fun event, you must have enjoyed a lot. Looks like a cool event, Love the letter art. This looks amazing. I wish we had more local businesses in the UK. Don't get me wrong I love the chain stores but everything's the same everywhere you go! It'd be nice if we made a move to having more local businesses, I think it's more representative of culture y'know? That place looks really intersting, and those designs are amazing, I'd love to have one! Wow, I love art festivals/shows as they have so many unique pieces! Thanks for sharing such a lovely experience and some great pics! you looked like Neelofa at first photo. beautiful!